While 2012 marked the year of several outer-space mining projects, 2013 is shaping up as the era of human colonization on nearby planets. Mars One, a Dutch non-profit agency, announced it is now accepting applications for people interested in helping to build the first human settlement on Mars, to start in 2025. Successful applicants will undergo eight years of extensive training before launch. They must be happy with the idea of never returning to this planet — Mars One's mission is a one-way trip. For the adventurous souls who are interested in applying, Mars One lists the “five key characteristics” of a Martian explorer: resiliency, adaptability, curiosity, ability to trust, and creativity/resourcefulness. The estimated cost of the mission is close to $6 billion, and Mars One plans to broadcast every aspect of the mission in a reality-style TV program. 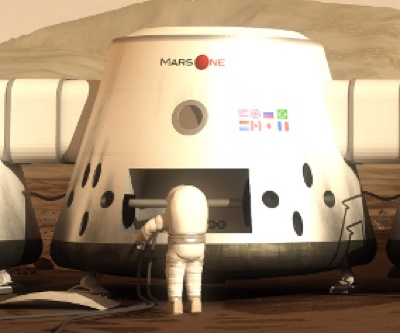 Image courtesy of Mars One.